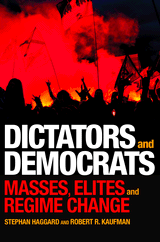 Dictators and Democrats: Masses, Elites, and Regime Change, co-authored with Stephan Haggard. (Princeton University Press, 2016). Development, Democracy, and Welfare States: Latin America, East Asia, and Eastern Europe, co-authored with Stephan Haggard. (Princeton University Press, 2008). 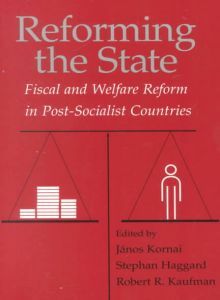 Reforming the State: Fiscal and Welfare Reform in Transition Economies, co-edited with Janos Kornai and Stephan Haggard. (Cambridge University Press, 2000). The Political Economy of Democratic Transitions, co-authored with Stephan Haggard. (Princeton University Press, 1995). 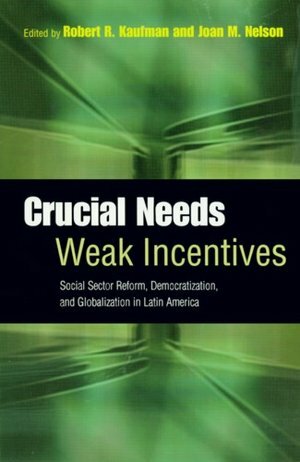 Winner of the Leubbert Prize for the best book in comparative politics in 1995, awarded by the Comparative Politics Section of the American Political Science Association. 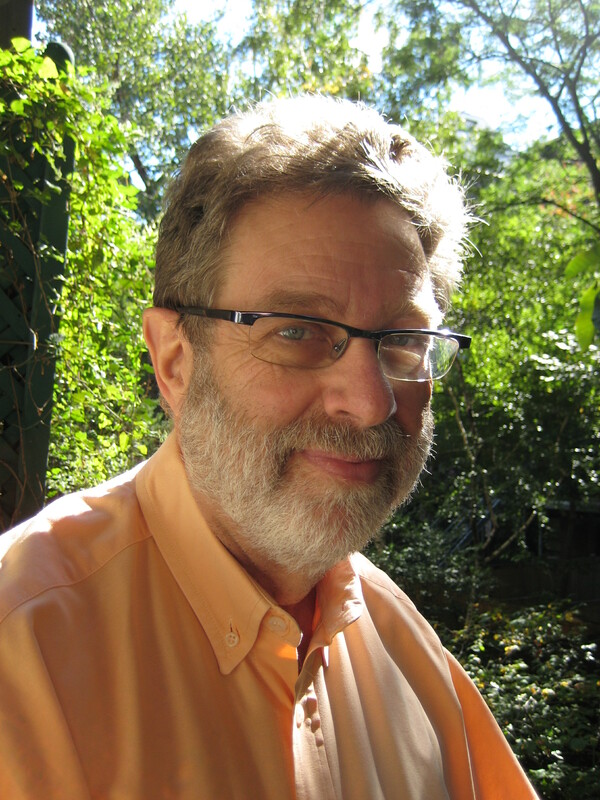 Stephan Haggard and Robert R. Kaufman"Democratization During the Third Wave," Annual Review of Political Science, Volume 19, June 2015. Richard R. Lau, Parina Patel, Dalia F. Fahmy, and Robert R. Kaufman"Correct Voting Across Thirty-Three Democracies: A Preliminary Analysis," British Journal of Political Science, 44:2 (April 2014): 239-259. Winner of the 2014 GESIS Klingemann Prize for the Best CSES Scholarship! Stephan Haggard, Robert R. Kaufman, and James D. Long"Income, Occupation, and Preferences for Redistribution in the Developing World," Studies in Comparative International Development, 48:2 (2013): 113-140. Stephan Haggard and Robert Kaufman, “Inequality and Regime Change: Democratic Transitions and the Stability of Democratic Rule,” American Political Science Review, 106:3 (August 2012): 495-516. “State of the Field: Political regimes and the Study of Democratic Politics” in Peter Kingstone and Deborah J. Yashar, eds. Routledge Handbook of Latin American Politics. Routledge 2012. Brian Cramer and Robert Kaufman, “Views of Economic Inequality in Latin America,” Comparative Political Studies, 44:9 (September 2011): 1206-1237. “The Political Left, the Export Boom, and the Populist Temptation,” in Steve Levitsky and Kenneth M. Roberts, eds. Latin America’s Left Turn: Baltimore: Johns Hopkins University Press, 2011. “Inequality and Redistribution: Some Continuing Puzzles.” PS, October 2009. “The Political Effects of Inequality in Latin America: Some Inconvenient Facts,” Comparative Politics, April 2009. Robert Kaufman, (co-authored with Stephan Haggard) "How Regions Differ," Journal of Democracy, Volume 20, No. 4, October 2009. Robert Kaufman, (co-authored with Stephan Haggard) "The Eastern European Welfare State in Comparative Perspective," in Post-Communist Welfare Pathways: Theorizing Social Policy Transformations in Central and Eastern Europe, edited by Alfio Cerami and Pieter Vanhusse. Palgrave-MacMillan 2009. “Political Economy and the ‘New Left’ ”. Published in The ‘New Left’ and Democratic Governance in Latin America, edited by Cynthia J. Arnson, with Jose Raul Perales. Woodrow Wilson International Center for Scholars, the Latin American Program. Washington, D.C. August 2007. “Market Reform and Social Protection: Lessons from the Czech Republic, Hungary, and Poland.” East European Politics & Society, February 2007. “Revising Social Contracts: Social Spending in Latin America, East Asia, and the Former Socialist Countries, 1980-2000,” co-authored with Stephan Haggard. Revista de Politica, XXIV, 1, 2004, pp. 3-37. “Latin America in the Global Economy: Macroeconomic Policy, Social Welfare, and Political Democracy,” in States, Markets, and Just Growth: Development in the Twenty-First Century, edited by Atul Kohli, Chung-in Moon, and Georg Sorensen (The United Nations University, 2003). “Globalization, Domestic Politics, and Social Spending in Latin America 1973-1997: A Cross-Sectional Time Series Analysis,” co-authored with Alex Segura-Ubiergo. World Politics, July 2001. The dataset used in this article can be downloaded here. “Approaches to the Politics of State Reform,” Comparative Politics, April 1999. “Attitudes toward Economic Reform in Mexico: The Role of Political Orientations,” co-authored with Leo Zuckermann. American Political Science Review, June 1998.